Our new SK Coolant Collet is a quick and easy way to provide total mechanical sealing for any cutting tool with an oil hole. 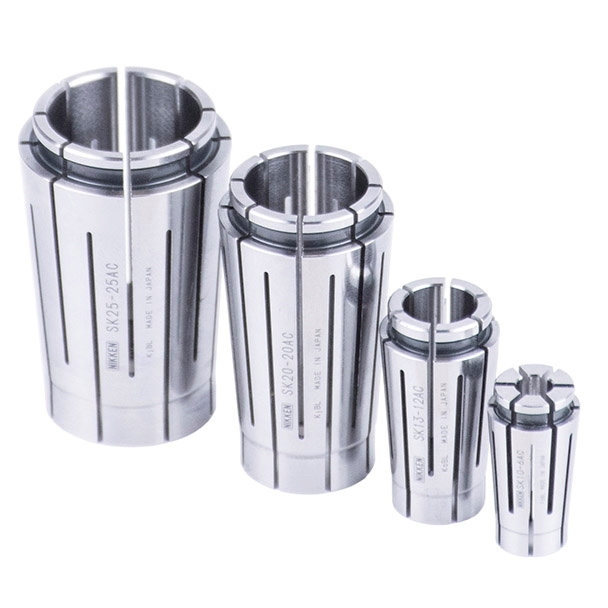 Fully compatable for both existing Slim Chucks and all NIKKEN Major Dream Holders the collet is suitable for the use with high pressure coolant systems up to 70 bar. Available and in stock for all sizes of chuck to suit cutting tools Ø4mm - Ø25mm.